For a school founded to provide `guarded' education for the children of a numerically small Christian community to have survived for two hundred years is no mean achievement. To have grown into a relatively large school serving the educational needs of a wider local community is perhaps a greater one. 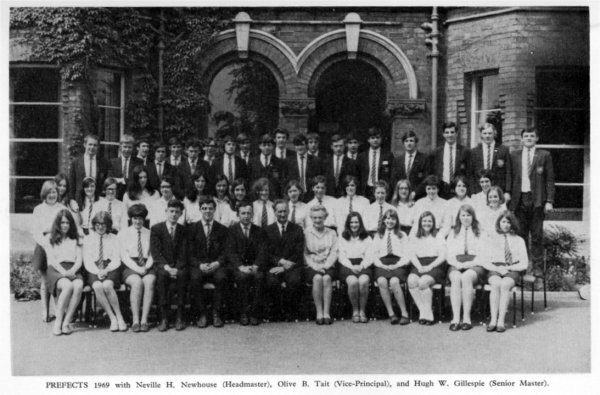 Neville Newhouse has admirably drawn together the threads of this chequered history with fascinating glimpses of what life in the school was like at different periods of its development. To read of the crises that challenged the staff and governors at decisive moments and how they were met can only inspire admiration at the faith and courage of those who laboured to hand on a live torch to the next generation. 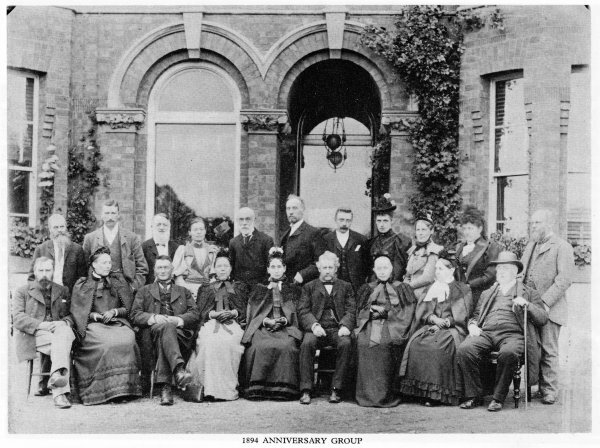 In particular the record of two exceptional partnerships in the persons of Joseph and Mary Radley and of John and Norah Douglas reveal how committed Friends gave the best part of their lives to the re-creation of a vital tradition. While a school still stands on Prospect Hill, these names should be remembered with thankfulness. The story ends with the retirement of John and Norah Douglas, because it would be a rare historian who could evaluate the developments in which he himself had played a vital part. The story of the years from 1952 to 1974 is wisely left. 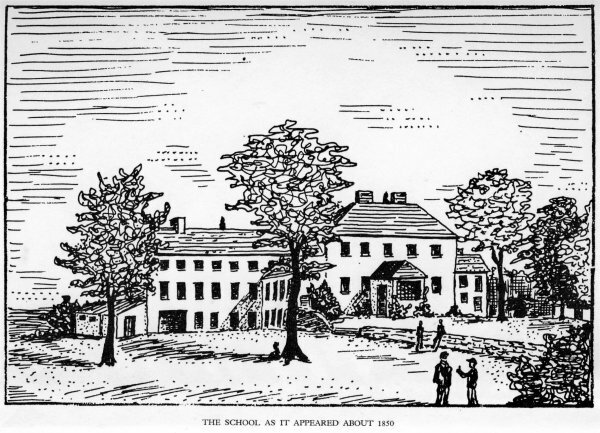 These were the years when Ivan Gray, Neville Newhouse and Arthur Chapman were' to occupy the post of Headmaster, and when the school was to undergo decisive changes.. On Ivan Gray's initiative and with some hesitancy from the Governors, the school entered into a partnership with the state in a way which was not open to the Quaker schools in England. 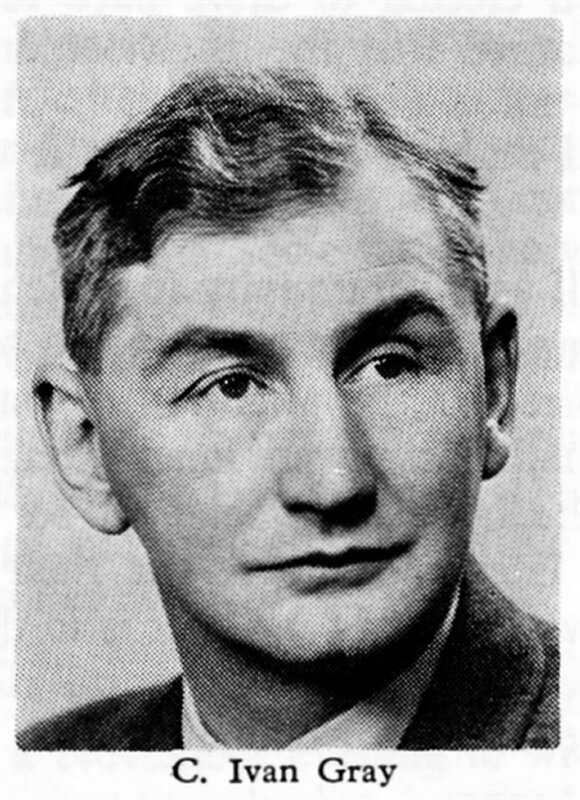 Neville Newhouse in his term of office carried through the major part of the necessary building programme and developed a strong academic tradition. 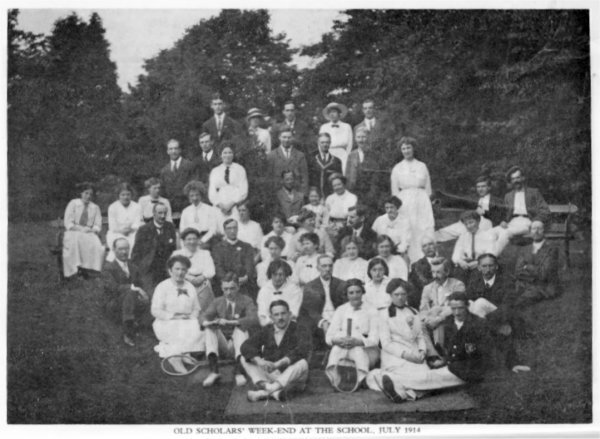 The changed character of a school in which the boarders are less than 10 0/0 of the total enrolment has perhaps made the task of preserving the Quaker tradition more difficult. However, new times and new challenges face the school. The debate on comprehensive education now confronts the voluntary schools. The communal conflict in N. Ireland has raised the issue of integration. In meeting these problems two quotations from George Fox the founder of the Religious Society of Friends should be remembered. `There is one, even Christ Jesus, that can speak to thy condition'- a precept that must be combined with his advice to his followers `to walk cheerfully over the world, answering that of God in every man'. 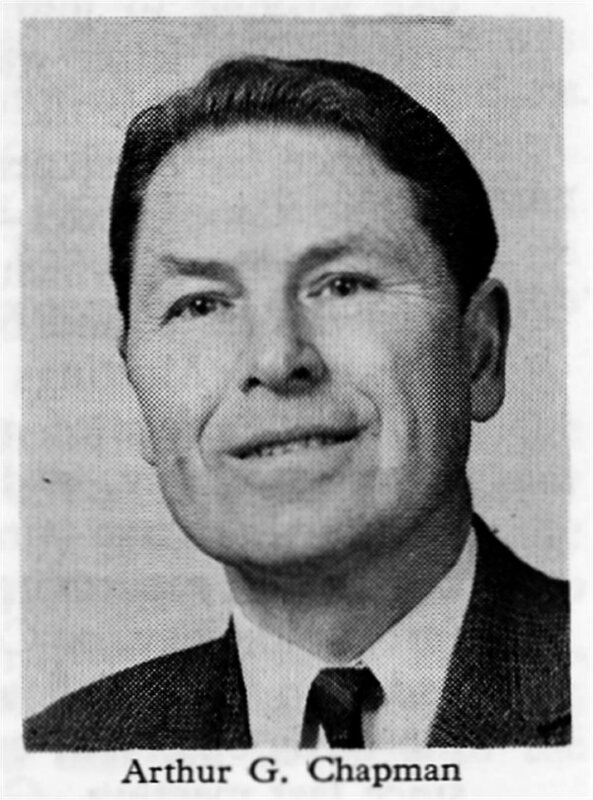 Chairman of the Board of Governors. This history should have been written by John M. Douglas who had unequalled knowledge of the School and of Irish Quakerism. The work was often in his mind after he retired, and he did gather together a great deal of material, some of which he was persuaded to tape-record not long before his death ; a great deal more was stored in his mind and never saw the light of day. His widow, Norah, kindly allowed me to make considerable use of his papers. So many Ulster and Irish Friends have helped me that I cannot name them all here. But I must thank the Advisory Committee of George R. Chapman, Arthur J. Green, G. Leslie Stephenson and Henry John Turtle who have from the first encouraged and guided me, and also Arthur G. Chapman, the School's Headmaster, who has been my link with the Appeal Committee which has seen to the publication in time for the bi-centenary year. The judgments on events and people, like the shortcomings, are, I need hardly say, entirely my own. 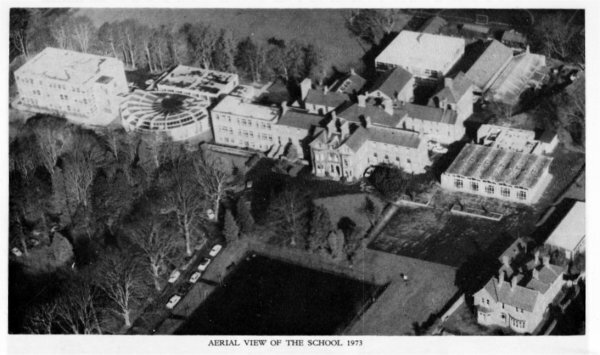 The only previous history of the School was written in 1935 by Mary Waterfall, the daughter of Joseph Radley. Almost all the other source material is to be found, well catalogued, in the Strong Room of Lisburn Friends' Meeting House in Railway Street. In general, I have indicated sources in the course of the narrative, rather than in footnotes and cross-references. The first chapter has already appeared at greater length and fully annotated in the Journal of the Royal Society of Antiquaries of Ireland (1968 Volume No. 98 Part 1), to whom I am grateful for the permission to publish this shorter version. Thanks are due also for the appendices, the photographs and the index, which are the work of Henry John Turtle helped by Betty Calvert. 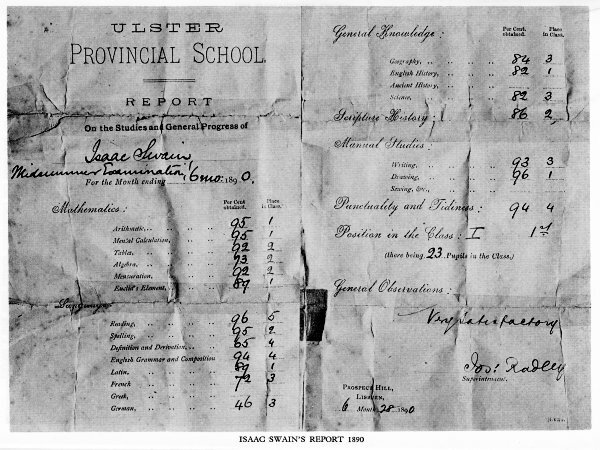 Item : 1 leave and bequeath to my loving Friends Thomas Greer, John Christy, and my loving kinsmen Robert Bradshaw, and John Hill, one thousand pounds sterling, in trust for this special viz : to purchase Lands therewith and the Rents and Proffits thereof to apply to establish a School within the present bounds of Lisburn Men's Meeting for the Education of the Youth of the people called Quakers, the master thereof to be a sober and reputable person, and one of said people, and the school to be under the Inspection of the Quarterly Meeting of said people for the Province of Ulster. In making this bequest John Hancock showed himself to be a good Quaker. For ever since George Fox had established a school for boys and girls at Waltham Abbey, and a school for girls only at Shacklewell, the Society of Friends in both England and Ireland had set great store by education. Even so, their schools did not on the whole prosper, the many new ones they opened being scarcely sufficient to replace those which were always closing. As early as 1687 the National Quaker Meeting of Ireland passed a minute telling schoolmasters `not to lay down their schools without the consent of the men's meeting to which they belonged'. The appeal was ineffective. Schoolmasters were in very short supply, and Quakers often `put their children to the care of others that were not Friends', as a minute of 1725 expressed it. John Hancock was one of the many who deplored this state of affairs ; and one of the few who were determined to alter it. [i.e. will] shall have manifested the disposition of my heart, perhaps someone may be spirited up to promote it. It was not surprising that John Hancock thought Lisburn `the properest place' for his school, as it was by 1800 greatly admired by many travellers -`esteemed one of the handsomest towns in the kingdom', according to Richard Shackleton, headmaster of the school at Ballitore. It had twice needed rebuilding, once after the '41 rebellion and again after the great fire of 1707 when its reconstruction coincided with its gradual establishment as the centre of the linen industry in the Lagan valley. Its four thousand odd inhabitants occupied, according to John Gough Junior who wrote `A Tour of Ireland 1813-14', an area round the market square which made it `the handsomest country inland town' he had seen in Ireland, one `hardly to be equalled in England' for that matter. There were three principal streets, Castle Street, Bow Street and Bridge Street, Castle Street being particularly impressive with modern, 3-storey houses lining a well-paved clean roadway. The present Railway Street (called in the early 1700's Schoolhouse or Schoolroom Lane and by 1800 Jackson's Lane) was then one of `severall lanes in the town which, with few exceptions, consisted of thatched cabins'. The Quaker Meeting House, also thatched and approached by a long narrow path between gardens, had wonderfully escaped destruction by the 1707 fire. In 1776 it was, the records tell us, `a small, neat building for about one hundred and fifty people, always filled on Sunday'. The areas which by 1900 were the sites of the railway station and the Wallace High School were both, it need hardly be said, unspoiled fields outside the town proper, which was overlooked by Prospect Hill whose slope is now climbed by the Magheralave Road. The road north-west to Belfast ran through `fine houses, plantations, church spires, bleach greens and a great number of neat whitewashed cabins at the road side'. It led to a town four times larger than Lisburn, similarly thriving, and already having the makings of the future provincial capital. written, someone would be `spirited up' to promote the school he so deeply longed to see : `I leave it to thee'. He had chosen his man well. Stubborn and quarrelsome Thomas Greer may have been, but he was a passionately active Quaker, was as convinced as John Hancock of the need for a boarding school in Ulster, and now devoted his considerable energy and skill to seeing it established. John Hancock's bequest was for the purchase of lands on which to build a school, and buying land anywhere about Lisburn meant negotiating with the Earl of Hertford whose Killultagh Estates (60 thousand acres of fine land in County Antrim from Magheragall and Aghalee in one direction to Lambeg and Derriaghy in the other) had come to his family from the Conways in 1609. The previous Earl had shown little interest in his Irish land, but the present one, with whom the trustees were to treat, was very different ; he paid occasional visits to Ireland and was much concerned with the good order and development of Lisburn and district. The trustees interested themselves in 20 acres of land a quarter of a mile to the north of Lisburn in an area known as Prospect Hill. These fields overlooked the town and ran down to Jackson's Lane and the Quaker Meeting House. 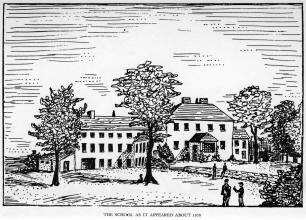 Presumably the trustees had first satisfied themselves that the tenants would be willing to leave their holdings in favour of John Hancock's Quaker school.
. . . on the whole we must now quit thoughts of having the school settled within the bounds of Lisburn Meeting. I need not tell thee what a disagreeable task it is for me to write thee in this stile. Far from `quitting' this scheme, Thomas Greer saw it through within two months of this deadlock. He did so by having the applications made in Dublin. `The Hibernian Magazine' for 1778 records `much Quaker solicitation at Court', and as there is no mention of this in the Society's minute books (in spite of the fact that Friends were very often active in lobbying members of the Lords and Commons), it must have been done privately. A letter to Thomas Greer from John Hill, the only trustee from Lisburn itself and a cousin of Robert Bradshaw, records the fact that John Hill waited twice on William Higginson after 19th April 1766 and eventually got another message to the Earl. It was to the effect that the trustees would soon be in Dublin (almost certainly in order to attend National Meeting), and to ask whether his Lordship would see them there on 20th May about the land on Prospect Hill. The noble Earl returned answer that he was `full and willing' to treat in Dublin or in Lisburn. The result was that a lease dated 9th June 1766 was signed by the Earl of Hertford in the presence of three Quakers in Dublin, and by the four trustees in the presence of William Higginson in Lisburn. Its main provision was to lease twenty acres of land to the trustees, the lease to be renewed for ever if, within six years, a schoolhouse was built, hedges and `timber trees' were planted, and a straight read twenty-one feet wide, with an additional six feet for ditches, was constructed. The document is long and detailed, and contains such quaint provisions as the one forbidding trustees (the Governors of today) to kill, or allow anyone else to kill, hare, partridge or game on the school lands. Work on the road began almost at once, as we know from Robert Bradshaw's report that the labourers could not make a living at the rate they were being paid, because the soil had proved to be `strong champion clay with scarce any big stones at all in it'. The men evidently lost much time and energy in fetching the stones for the road from a greater distance than had at first been thought necessary -and `the strong champion clay' remained stubborn until 1964 when the playing fields were re-drained and reconstructed. However, Robert Bradshaw told the men that the trustees would take their difficulties `under consideration', and that if their case was deserving, they would be paid more. `Since then', he wrote to Thomas Greer, `the work goes on apace'- a testimony to the reputation Quakers had gained for keeping their promises. The original 20 acres had been two pieces of land, one in the possession of James Hunter, not a Friend though connected with the Society, the other possessed by James Mitchell, about whom nothing is known. At least one of them was not completely reconciled to the treatment he received, for another of Robert Bradshaw's reports tells us that in November 1767, just a year after the labourers threatened to strike, James Hunter and James Hogg made `encroachments' on the road to the school lands and planned to build `pillars' to guard what they considered their rightful property. 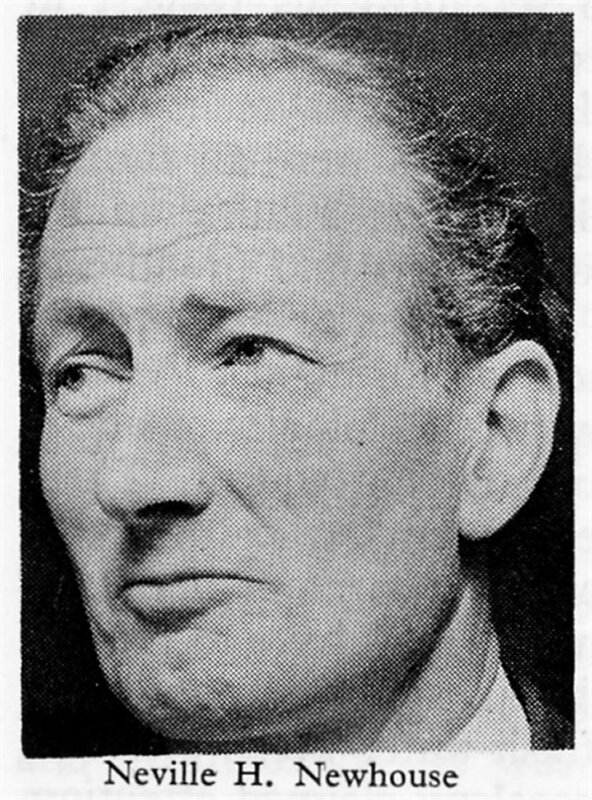 Robert Bradshaw arranged for the trustees to meet in Lisburn to have the matter properly adjusted `whereby the infringements of those refractory persons may be prevented for the future'. In the absence of any evidence to the contrary we may assume that the trustees were successful. With the land secured on the lease for ever and the schoolhouse about to be built, the trustees next had to find a master. This was very different from finding a schoolmaster today. For one thing, the universities were not open to dissenters, so that, in the words of London Yearly Meeting for 1760, `the number of able and well qualified teachers amongst us is very small'. In any case, there was at this time a general lack of interest in education even in the old foundations linked with the established church : the lands of the Royal School, Dungannon, for example, were being used more for private profit than for the benefit of its few pupils. And a community which had small interest in educating its children, paid its schoolmasters very little. Usually they supplemented a wretched minimum by making a small profit from boarding pupils and from pursuing a totally different part-time occupation. The Cork Men's Meeting recorded in 1699, for example, that their schoolmaster, Edward Borthwick, was neglecting his work by leaving the management of the school to a boy while he got on with his bookbinding, often using his press in the schoolroom ; about the same time, Samuel Fuller in Dublin carried on a business as bookseller and publisher. Not surprisingly, the trustees looked to England which had provided Ireland with all her best-known Quaker masters to date - Lawrence Routh to Mountmellick in 1677, Alexander Seaton (student of Aberdeen University and admirer of Robert Barclay) to Dublin in 1680, and after him Samuel Forbes, John Chambers and Thomas Banks. Thomas Greer knew that the task was not easy for already in 1769 he had tried to find a schoolmaster at the request of Richard Shackleton of Ballitore. When, therefore, he learned late in 1772 that William Neville was to make `a long tour of England', he asked him to `make much enquiry about a schoolmaster'. Neville did so, though with little success, writing to Thomas that he had some names, none of which could be recommended as `compleat'. It did not seem to matter, he concluded, since 'I am told thou hast one in view'. The 'one' in question was John Gough, whose background and credentials were typical of the Quaker schoolmaster of the time. Born in Kendal, Westmorland in 1721, he was the second son of John and Mary Gough who professed "the truth as held by the people called Quakers'. Both boys were much influenced by their mother. James, nine years older than John, described her in his Journal as `an industrious, careful, well-minded woman' who `made it her maxim in her plan of education to accustom her children to useful employment, frugal fare, and to have their wills crossed'. She sent them to Thomas Redbank's Quaker school in Stramongate which had been opened in 1698 (and continued save for a brief closure in 1898 until 1932). They both proved themselves clever enough to take up schoolmastering, and James was apprenticed in 1727 to David Hall, the Skipton schoolmaster for whom his mother had `an honourable esteem'. He was a Quaker of the old sort who would not allow any other than `plain garb' in his `family', as he called his pupils and helpers. Sometime after this a vacancy falling out in the city of Dublin by the death of John Beetham Friends' schoolmaster there, and the return of John Routh (who had tried the place after him) to England, my brother, being encouraged by friends there to take up the charge of that school, seemed inclined thereto, and as the prospect seemed promising, I freely assented to his removal. The impression of a struggling school is borne out by the brevity of George Routh's stay, for a minute dated 19th April 1750 announced his intention of `moving to England'. On 31st May 1750 we learn that John Gough has been invited to come and has expressed willingness, `provided the school and clerkship was £60 per annum for the first year'. With the move to Dublin, where he remained for 23 years, John Gough found himself at the centre of Quaker activity in Ireland. As Yearly Meeting Clerk he handled all the Society's main business, and at least twice (in 1770 and 71) attended London Yearly Meeting on behalf of Irish Friends. Further, with James' removal to Bristol in 1760 he was no longer in the shadow of his elder and (in Quaker circles) eminent brother. It was his turn to achieve a modest importance. Yet his long stay in Dublin was not a uniformly settled one. For one thing, he found it hard to make ends meet. He had married in 1743 Hannah Fisher of Youghal. In twenty years they had fifteen children, of whom the youngest was five when the family came to Dublin. The salary paid a schoolmaster would go only part of the way towards providing for so many. It was supplemented in other ways - by income from a text book, by payment for Quaker duties, and by Hannah's sale of linen forwarded to her from the country. Even then, the total income during John Gough's first ten years in Dublin was small. In addition, John began to feel, like his brother James, that schoolmastering kept him too much in one place ; he wanted to travel in the Quaker Ministry (as it was called) and could not. In his own words, lie felt `fettered' in Dublin, both `in the outward and inward'. During 1764 there was much talk of his leaving the city. 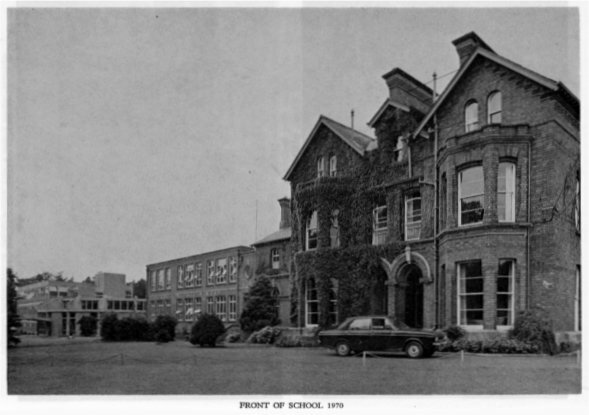 It was the time of the founding of Edenderry School for girls and a suddenly energetic Quaker education committee was considering setting up a parallel foundation for boys. John Gough was mentioned as its possible master. Dublin Friends, however, wanting to keep John Gough among them, agreed to pay him £20 annually for his Yearly Meeting Clerkship and to `advance' his school income from £40 to £60 per annum. In return he agreed to stay at least a further three years. By January 1765 he was writing `. . . we are again settled for three years longer in this city'. Twelve months after the writing of these words, and a hundred miles to the north, John Hancock died, and Ulster Friends set about implementing the terms of his will. 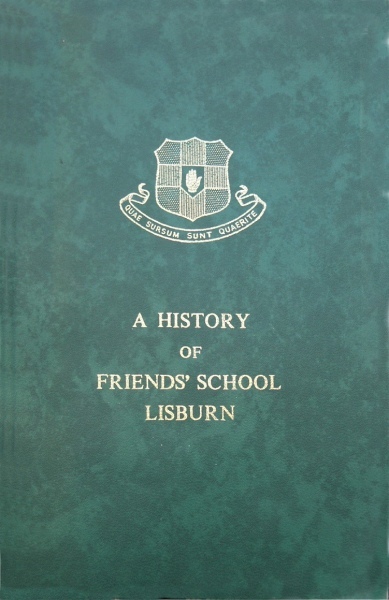 John Gough must have been aware of many of the details of the setting up of a school at Lisburn, for he was not only Yearly Meeting Clerk, but also Clerk of the special Schools' Committee set up in Dublin in 1764. Thomas Greer was usually present at this committee's meetings, the last of which was held in 1769 by which time the land on Prospect Hill had been bought and work on the road started. Inevitably, John Gough would know of the search for a master and of John Nevill's efforts as he journeyed about England , inevitably, he thought about his own future. He wanted to move from Dublin. Was this his opportunity ? Cautiously, and `some time previous' to May 1773, he hinted to William Nevill - -`but as a matter at a distance' - that `sooner than the school should fail for want of a Master, he did not know but he might be inclined to change his sphere of action'. This did not mean, John Gough said, that the trustees should give up the search for a master elsewhere ; if that search proved successful, he would `take it as a mark that Dublin was still his proper place'. ii) what numbers of both `were likely to offer' ? To leave Dublin, John Gough pointed out, was to `relinquish' £150 per annum from the school (half a guinea per quarter for each pupil), as well as the rent of half his house and his payment as clerk of the Yearly Meeting. On the other hand, a possible advantage of moving would be to free him for travelling in the Ministry on behalf of Friends, both at home and abroad. This is an estimate of how much is required per pupil from fifteen boys and fifteen girls if John Gough is to earn the equivalent of his £150 in Dublin. There is a possibility that dear James Gough may return to Ireland and settle in Dublin to fill in part his brother John's place, while John opens the school at Lisburn and is serviceable in this province. - if Jonathan Hill should go as his assistant and there fall again in love with the second daughter and marry her we might have a prospect of a good schoolmaster and the succession in the right line continued. Jonathan Hill did come to Lisburn and took charge of the school during John Gough's absence. He did not marry Mary who in 1778 became Mrs. Mason, but it is clear that things had been happening in Dublin which had not met with official Quaker approval. No doubt a good story lies hidden behind this tantalising glimpse of the past. and opposition from Dublin Friends. He agrees, however, to make a firm decision `by eleventh month' (ie. November 1773). In the meantime, there is no longer need to keep the affair secret, as `it is taking wind both here and there'. thought that what he said was too highly `set to music'-too much of the harmonious swell -the `concord of sweet sounds', or according to some-the tuneful note of inspiration. It was a practice that lingered in Ulster until after 1900, as pupils at the school have recalled from their memories of Quaker Meetings in the Province. There is much evidence that John Gough was an immensely hard worker. He wrote two text books, an English Grammar (a revision of a work by James, his brother) of which there is a copy in Friends House, London, and an Arithmetic which can be seen in the Friends School library. 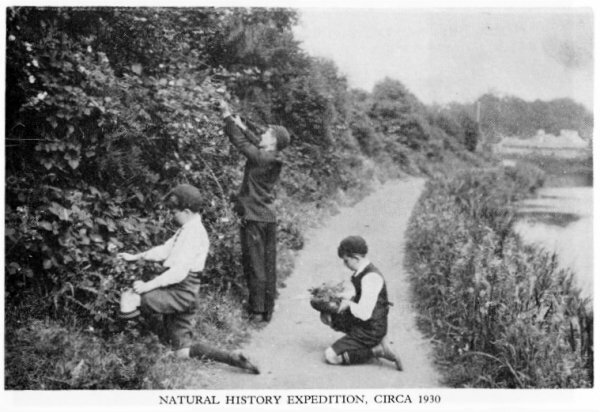 This was used for decades all over Ireland-the Hedge Schoolmaster, William Carleton, for example, knew it well. And while at Lisburn he wrote his `History of Quakerism'. The work of old age and uncompleted at his death, it is, to quote W. C. Braithwaite, a compilation rather than a piece of original research, and it draws heavily on Sewel's History. Gough explains that there have during his time at Lisburn been a number of charges against the Quakers which need answering. His History is his answer. And he was indefatigable in attending Meetings in the Province and throughout Ireland. Only a few days before his death, he was in Dublin ministering at the grave of a departed Friend. Throughout his life he was restless. Wherever he went, he once wrote, `bonds and affilictions' remained with him ; and in the same letter he complains that he is `as much like to be fettered in Lisburn' as he was in Dublin. He was perhaps a worrier, and he also had indifferent health-`I have', he wrote, `for some years been afflicted with a feverish cold'. 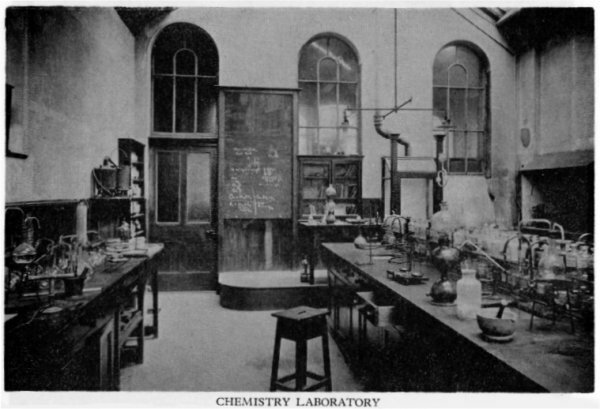 In addition, there were difficulties at the school where in the early days he was `teased with workmen', as his assistant Jonathan Hill put it, more particularly because there was not `cash to pay the whole'. In January 1776 John Gough had to apply to Thomas Greer to pay a bill of £4 for lime for school_ house, the bank account being `already in advance', and on a number of occasions the School Treasurer, Jacob Hancock, the Elder, paid bills with his own money. Interesting as the above facts may be, at least to the historicallyminded, they tell us almost nothing about the school as experienced by the pupils from day to day. Yet this is what ultimately matters in any school anywhere. From 1850 on Friends School, Lisburn, is well supplied with recorded memories of its scholars, and in later pages these will be allowed to speak for themselves, but for its earliest days no such impressions have come down. Even so, it is not difficult to fill in some details. We know, for example, that John Gough followed brother James in establishing as far as he could the simple, stern discipline practised by Friends. His Preface to James' Journal brands as harmful `plays, novels and romances' and wants them to be replaced by books and ways tending to piety, an attitude that persisted among many Friends until the end of the nineteenth century. This Puritan attitude to children had its limitations. Condemning `heathenish authors' was perhaps understandable, but replacing them by seven books entitled `Fruits of Early Piety' in which are recorded the last utterances of those who died young, seems unnecessarily lugubrious -although we do not know that John Gough used either these books or any of the 3,000 copies of `The Dying Sayings of Hannah Hill' which Ireland Yearly Meeting had printed in 1718. Whatever books were used contained no pictures, as pictures were representations of the truth, not the truth itself (which is why there are so few portraits of early Friends, who did not approve of them). Impart it firmly, or make use of mine. 6 Rise in Summer In half hour Roll called in School, Master reads from the Bible aloud, boys all standing. 3 called to School, Superintendent hears them in Catechism. 1 Dine - Mistress after dinner walks them into garden in dry weather, at which time she has an opportunity of teaching them to avoid unbecoming awkward gestures. 4 - then rest for an hour. 5 Mistress instructs them in Reading, Spelling, Catechism, etc., the remainder of the evening and examines their work of the day. The superintendent, it will be noted, not the master, was responsible for checking the progress with religious truth, another custom which lasted up to the present century. The girls spent less time in the classroom than the boys, using the time thus gained for a variety of domestic tasks. There were also supplementary orders for the Schoolmaster and Schoolmistress. These instructed boys to mend their stockings, to go walks with the master and to do work about the house. 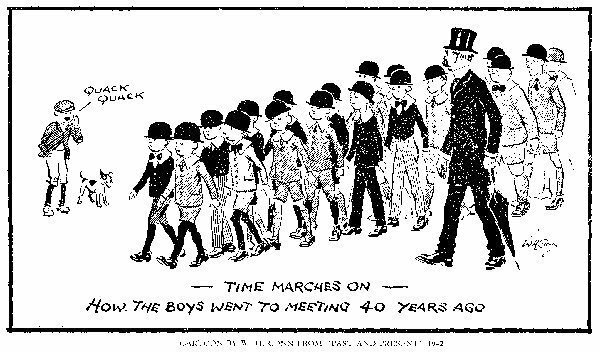 Boys in need of correction were to be dealt with `in the presence of the superintendent'. The schoolmistress had no instructions about the need for correcting girls although she had to see that they undertook domestic chores about the house and taught the boys `dearning'. Sunday. Bread and broth in Winter ; bread, potatoes and cheese in Summer. Monday. Boiled or roast meat and vegetables for one table, and pudding or suet dumpling for the other. Tuesday. As Monday the other way round. Wednesday. Potatoes and either milk or butter. Thursday. Meat and Vegetables for both tables in Winter, Puddings in Summer. Friday. Potatoes and milk or butter. Saturday. Scraps made out with griskins and the broth reserved for Sunday. Beer served with each dinner. Mr. John Hancock left 1,000 £ for the support of a school here, out of the interest of which being £50 yearly, the annual sum of £25.15/ is paid for the rent of 20 acres held for ever, for the use of the master, who has also the remainder of the interest money. A good house built by subscription among the Quakers. The scolars may be of any persuasion. £50 per annum. Master - Mr. John Cuff. Total no pupils 52, incl 11 brdrs & 21 day pupils. No free pupils. John Gough was taken seriously ill in 1790, recovered partially and carried on with his work. But, to quote Mary Leadbeater's brief life, `he was seized with a fit of apoplexy, which in a few hours, ended in his decease, the 25th day of 10th month, 1791, aged 70'. She goes on, whether apocryphally or not, who is to know ? It is remarkable that a short time before his death, being engaged in prayer, in the meeting to which he immediately belonged, on behalf of the general state of the church, he was led, by a remarkable transition, to supplicate for himself, as if sensible of his approaching dissolution. The words were written some thirty years after his death and bear the marks of a likely oral tradition. Again, according to Mary Leadbeater, John Gough `was of a sober, circumspect life and conversation ... plain and humble in appearance, and grave in deportment'. It cannot be claimed for him that he was as deeply original a schoolmaster as his contemporary, David Manson of Belfast. Not for him the learning games, the Saturday School Parliament, or the ingenious inventions of Mary Ann McCracken's splendid teacher. But even though David Manson deservedly became a freeman of Belfast in 1779, his school and methods died with him in 1792. The grave and stolid John Gough was the first Headmaster of a school still in being 200 years late.